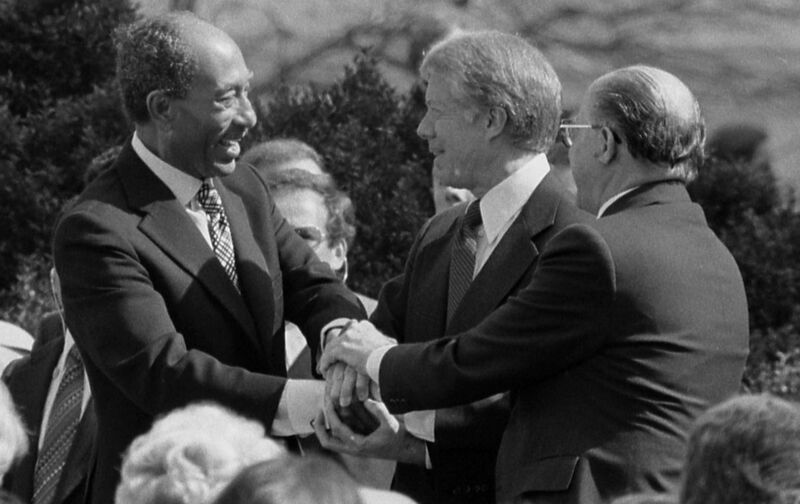 Thirty-six years ago today, the Prime Minister of Israel and the President of Egypt signed a peace treaty that continues to govern much of the foreign policy of those two nations, as well as of the United States. In an editorial (“A Beginning,” March 31, 1979), The Nation cautiously praised the peace plans, while slowly pivoting from its longtime hesitation to seriously criticize Israeli policies. By December 1981, when the magazine published a special issue on “Myths of the Middle East,” most of that hesitation was gone for good. It is difficult to take seriously the argument currently put forward by Palestinian leaders, and uncritically repeated by many journalists, that to enter the political process would be to legitimize the Israeli occupation. To the contrary, what “legitimates” the military occupation with the Israeli public—even those far more flexible than Begin—is precisely the present rejectionist posture of the Palestinian leadership and of the Arab states on Israel’s eastern border. Moreover, the increasing clamor of insurrection heard in the occupied territories underlines the ever-present possibility of isolated instances of violence escalating into renewed conflict. This should remind the Begin Government that, whatever its reasons for postponing a termination date on the occupation, the sooner it sets one the better. Take away that military threat, begin a serious political dialogue with reassurances for Israeli security, and the Israelis may well be willing to relinquish what most already regard as the dubious pleasure of governing 1 million Arabs. The lesson of the Arab-Israeli Egyptian peace is how quickly a seemingly rigid Israeli position on territory begins to moderate once such a political dialogue is underway.